This world-exclusive introduction to the show is narrated by series presenter Sir David Attenborough and set to an exclusive track developed by Hans Zimmer and Radiohead. The prequel features an array of some of the most awe-inspiring shots and highlights from the new series, as well as several exclusive scenes that will not feature in any of the seven episodes which are set for UK broadcast on BBC One later this year. The Blue Planet II team dive to over 700 meters to see what happens to a whale carcass on the seabed. Whilst filming sharks as they feast, the sharks start to take a worrying interest in the submarine! 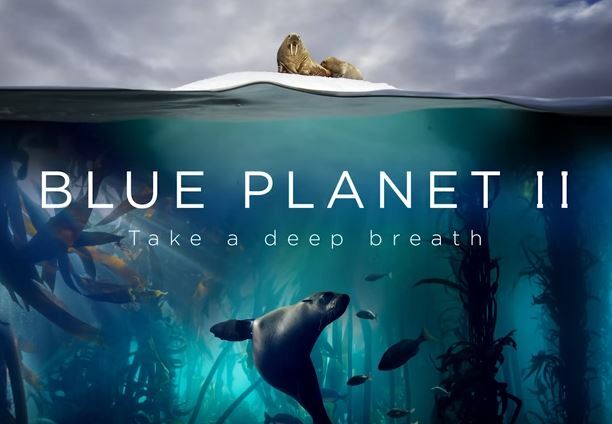 Antarctica and its wildlife look beautiful in Blue Planet II but how did the team work in such a challenging environment? Sir David Attenborough shares his favourite memory of the ocean as part of #OurBluePlanet. Didier Noirot has spent over thirty years as an underwater cameraman. He shares his thoughts on the health of the oceans and the changes he’s seen with his won eyes.